The Nesting Pillow is 100% organic and non-allergenic. New mothers care deeply about what's next to their newborn baby's skin and love the fact that The Nesting Pillow is safe for even the most sensitive babies. 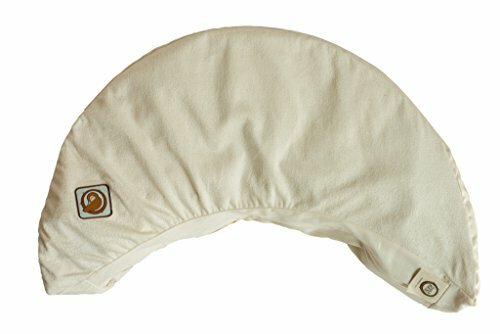 The Nesting Pillow is filled with organic buckwheat hulls, which make it possible to shift the contents around like a bean bag to find the perfect position unique to each mother and baby. Once the position is set the little pyramid-shaped hulls inside the pillow interlock together to conform to the shape and hold the position. Additionally, the unique filling allows air to circulate keeping both baby and mother cool and comfortable. All Blessed Nest products are made in America using 100% organic materials and are shipped in recyclable and compostable packaging. If you have any questions about this product by Blessed Nest, contact us by completing and submitting the form below. If you are looking for a specif part number, please include it with your message.